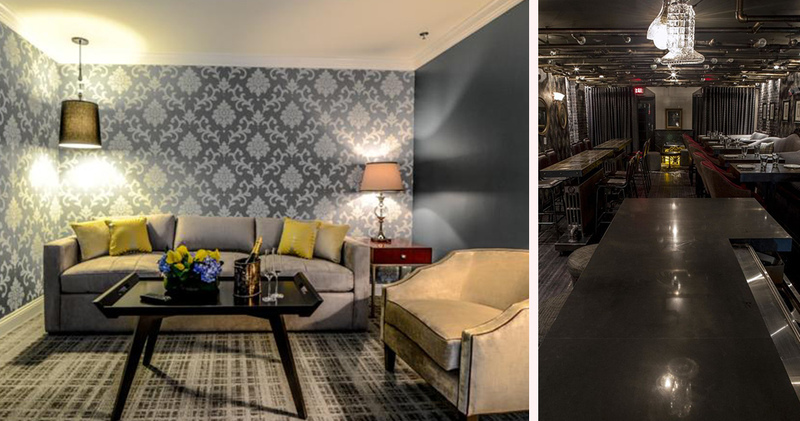 Inspired by the innovations of Alexander Graham Bell, The Graham Georgetown is a refined and sophisticated hotel. Located by the Potomac River, The Graham Georgetown is close to attractions including the National Cathedral and Kennedy Center. 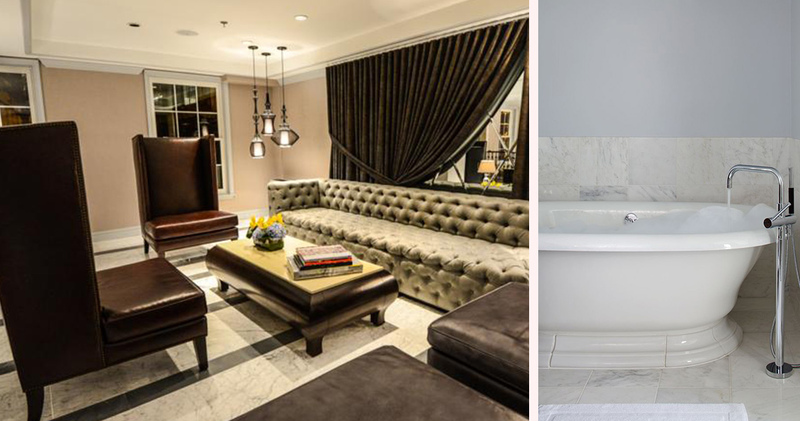 Heavily influenced by the inventive flair of Alexander Graham Bell, this luxury boutique hotel is elegant and sophisticated. 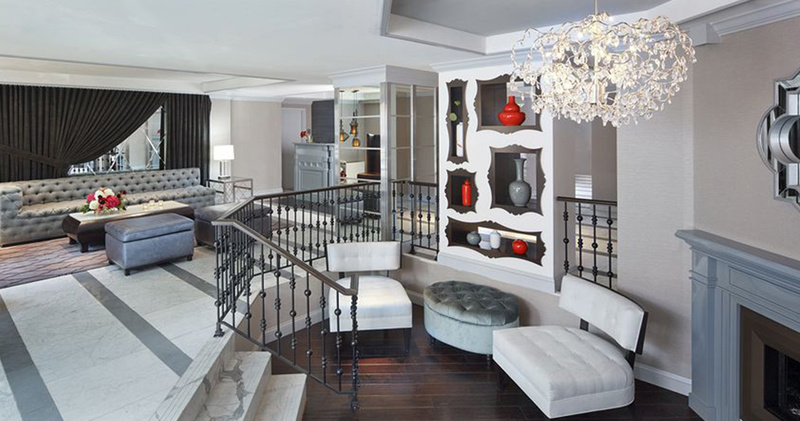 The hotel’s decor is a classic design with a modern twist. 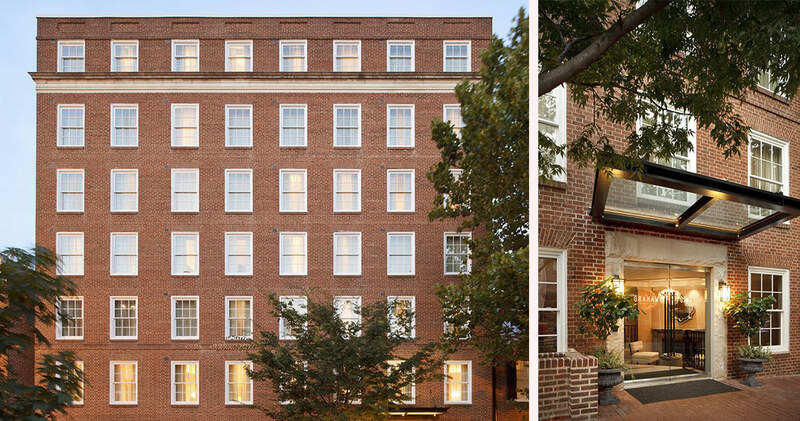 Nestled on a quaint street, the hotel is in a graceful building with a historic Federalist facade. The chandelier-lit lobby features comfortable modern furniture, an elegant fireplace and a chic white and grey color palette with vibrant bursts of red. 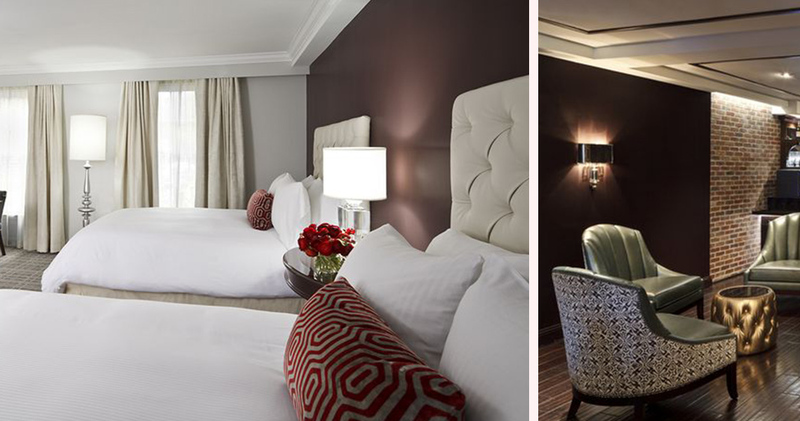 The guestrooms at Graham Hotel Georgetown are spacious and sophisticated. With modern furnishings, large windows and chromatic accents, every room offers a plush living space that is inviting and stylish. 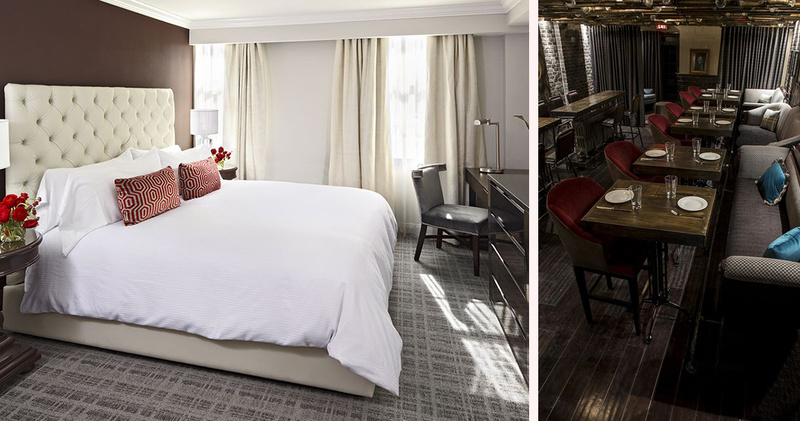 The beds feature a tufted leather headboard, pillow top mattress, Liddell Ireland luxury linens and down duvets. The rooms are airy and bright and include ample storage. 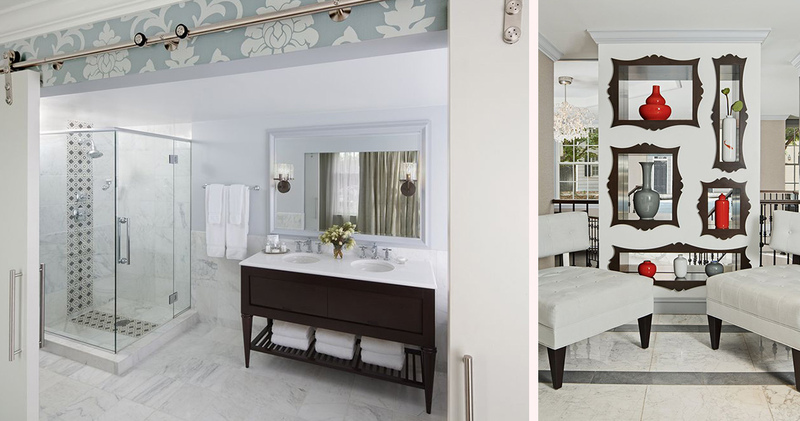 The spacious bathrooms at The Graham Georgetown feature luxurious marble accents, hardwood vanities and a large shower area. L’Occitane bath products and plush robes add an extra touch of indulgence. The Graham Georgetown is home to The Alex. 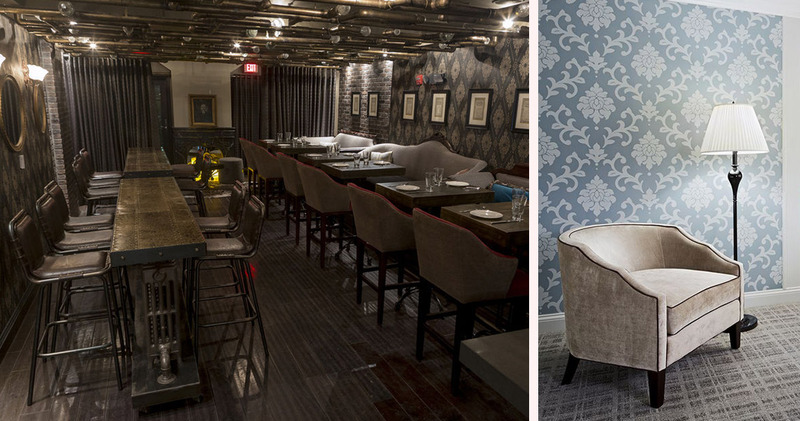 This intimate and stylish cocktail lounge has a Steam Punk vibe, featuring crystal light fixtures, deep jewel tones and multi-tiered seating. The menu serves small plates, fine wines and craft cocktails. 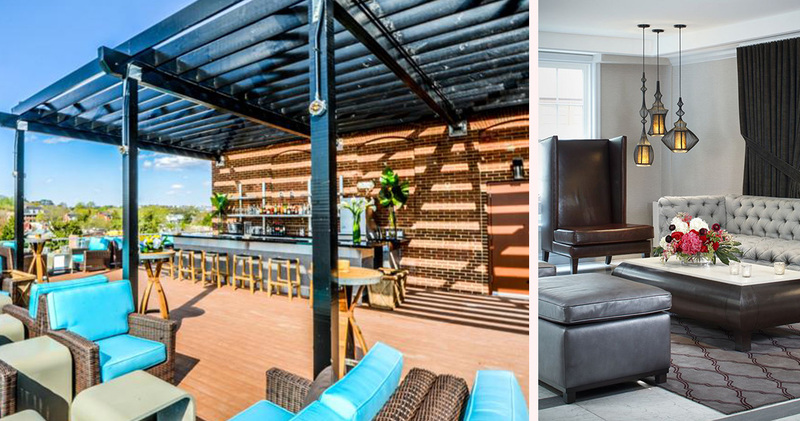 The Observatory is a rooftop bar offering beautiful views of Georgetown and serving specialty cigars and cocktails. Georgetown is an upscale neighborhood with waterfront parks, historic homes and a lively vibe. The area is known for being D.C.'s top destination for upscale shopping. Wisconsin Avenue and M Street offer attractive dining and nightlife options like Blues Alley, Bistro Francais and 1789 Restaurant. Georgetown offers visitors innumerable shopping options for upscale clothing, jewelry and antiques. Some of the most popular shopping destinations in the neighborhood are Jean Pierre Antiques, Hu's Shoes and A Mano. The C&O Canal and Potomac provide plenty of outdoor activities. Visitors will also find attractions like the Old Stone House, Dumbarton Oaks and Tudor House in Georgetown.